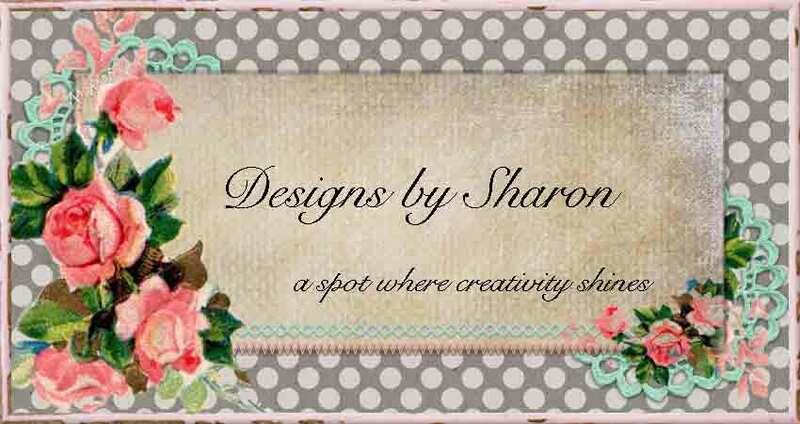 I was looking at a few of my favorite crafting challenge sites earlier this week. And well, one challenge site that I always look at, but don't always participate in, is celebrating their 200th post! I think that is great! and I wish them continued success and I hope the next 200 challenges are more fun, more exciting, and have more and more participants! 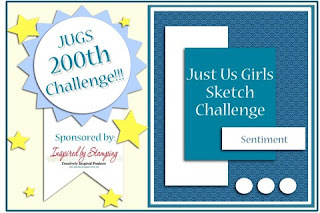 Just Us GirlS challenge site, have a sketch this week. All you have to do, is use the sketch, and enter! Every now and then, I really need to play along in a challenge that doesn't require a specific manufacturer. So, in this challenge, I used a little bit of products from quite a few different favorite manufacturers. 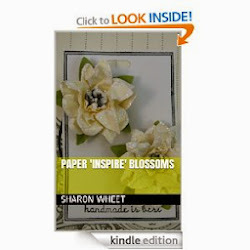 I started with crumb cake cardstock as my card base. I just love this heavy weight card stock. 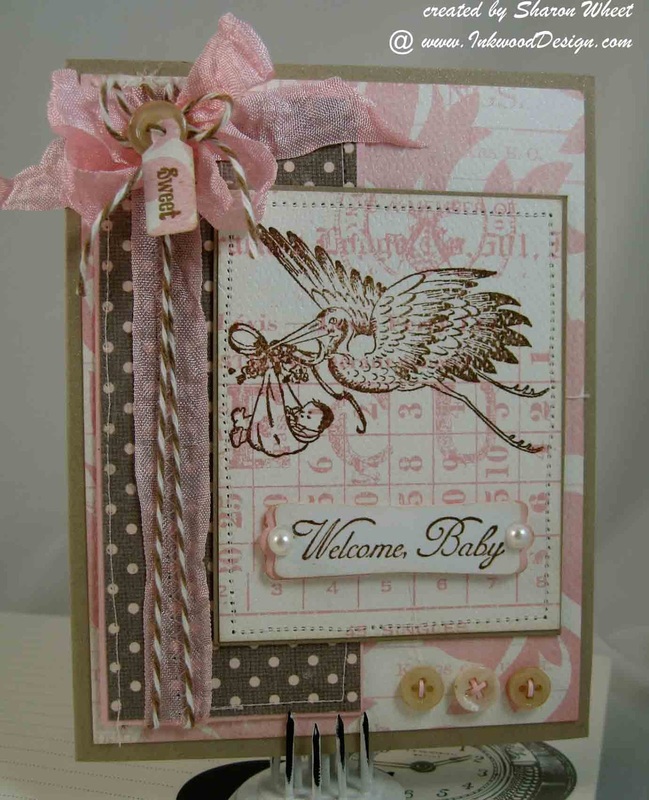 The two pink pattern papers are from Teresa Collins, Sweet Afternoon collection. I just love this pretty, soft, pink with a variety of collage images. I wanted to provide a break to the mirage of pink patterns and images. So, I added a strip of polka dot pattern paper from Authentique, Grace collection. I matted the polka dot pattern paper with pink pirouette cardstock and machine stitched a simple border. I did a zig zag machine stitch to adhere the seam binding to the polka dot pattern paper. I wrapped some brown bakers twine around this panel. I adhered a multi-loop bow, with a bakers twine tied button to the center of the bow. I included a tiny tag, stamped with 'SWEET', in baked brown sugar classic ink. I matted the variety text pink text pattern paper with crumb cake card stock, and machine stitched a simple border. 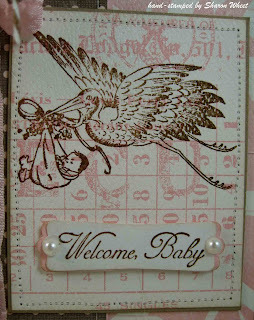 I inked a stork image with soft suede classic ink, and stamped it onto the pink text pattern paper. I added three cream vintage paper trey ink buttons to the bottom lower right corner. I wanted to repeat the pink, so I cut thin strips of pink pirouette card stock and threaded them through the vintage buttons. I added a sentiment label to the pink text pattern paper. I stamped the sentiment in soft suede classic ink and used my modern label punch to create the label. I matted the label with pink pirouette card stock, and added half pearls to each end. I adhered the label to the card front with foam tape. Finally, I gave the whole card with a few spritzs of my home-made frost shimmer spray. 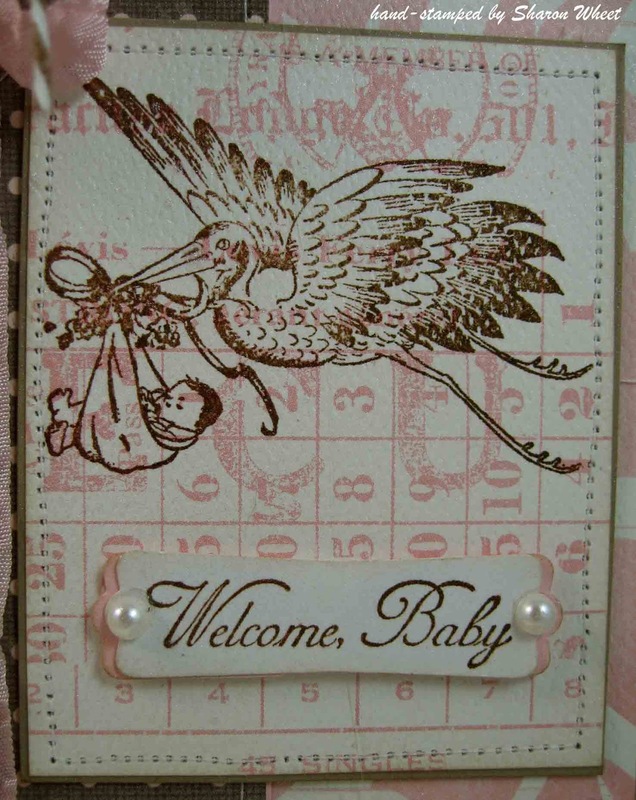 To help give this sweet baby card, a bit of sparkle! 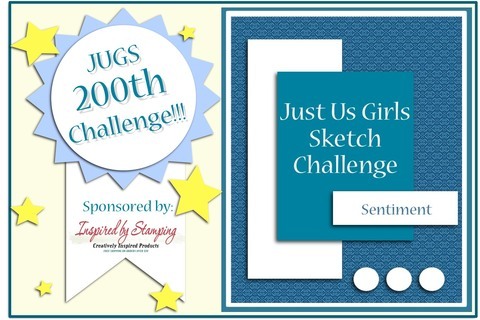 I hope that you get a chance to play along with the wonderfully talented ladies over @ Just Us GirlS challenge. I know that they would love to see what you create! Pretty card, soft lovely colors! Thanks for playing along with Just Us GIrls!